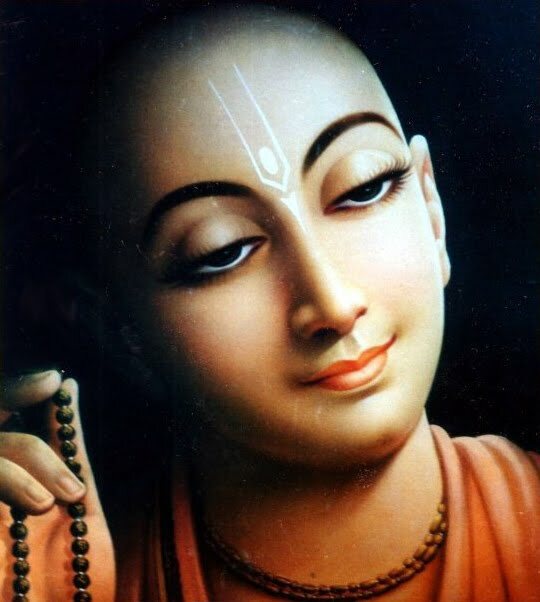 In the modern age Lord Śrī Caitanya Mahāprabhu preached the Śrīmad-Bhāgavatam by practical demonstration. It is easier to penetrate into the topics of the Śrīmad-Bhāgavatam through the medium of Śrī Caitanya’s causeless mercy. Therefore a short sketch of His life and precepts is inserted herein to help the reader understand the real merit of Śrīmad-Bhāgavatam. It is imperative that one learn the Śrīmad-Bhāgavatam from the person Bhāgavatam. The person Bhāgavatam is one whose very life is Śrīmad-Bhāgavatam in practice. Since Śrī Caitanya Mahāprabhu is the Absolute Personality of Godhead, He is both Bhagavān and Bhāgavatam in person and in sound. Therefore His process of approaching the Śrīmad-Bhāgavatam is practical for all people of the world. It was His wish that the Śrīmad-Bhāgavatam be preached in every nook and corner of the world by those who happened to take their birth in India.